This entry was posted in News on March 25, 2019 by Jonathan Kelly. 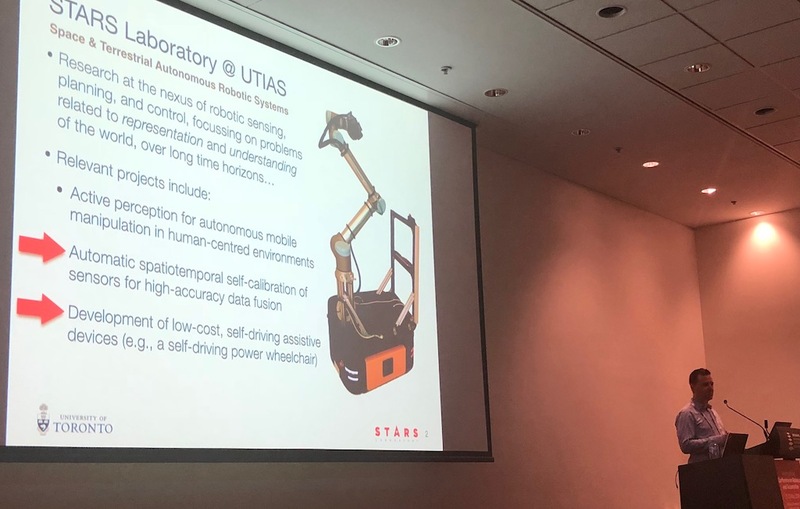 STARS Laboratory organizes Robotics Debates Workshop at ICRA 2019 in Montreal! This entry was posted in News on March 16, 2019 by Jonathan Kelly. 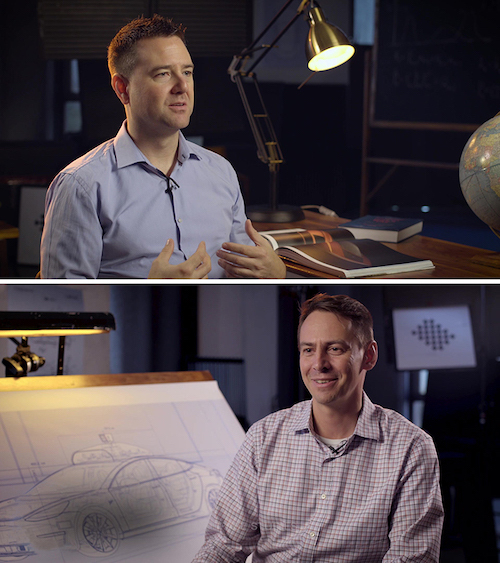 We’re delighted to announce the launch of our Self-Driving Cars Specialization on the Coursera platform, with instructors Prof. Steven Waslander (TRAIL) and Prof. Jonathan Kelly! You can find out more about the Specialization here, and check out the overview video on YouTube. 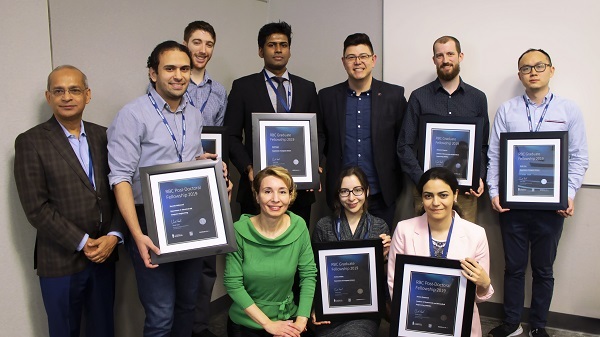 Huge thanks to Lee Clement, Valentin Peretroukhin, Trevor Ablett, and Filip Marić as well as staff and students at the University of Toronto and to Coursera for making this happen! This entry was posted in News on January 30, 2019 by Jonathan Kelly. Open source ‘Phoenix’ tail-sitter platform released! We’ve just open-sourced our Phoenix tail-sitter MAV project! The Phoenix is a dual-rotor tail-sitter platform for research and education. We’ve included design documents, CAD files, code, parts lists, simulation tools, and more – everything you need to build and fly your own Phoenix drone! Check out the GitHub repository! This entry was posted in News on November 4, 2018 by Jonathan Kelly. Prof. Kelly will give a keynote talk and a 1/2 day tutorial on visual-inertial navigation at the International Technical Symposium on Navigation and Timing 2018, November 13-16. Hope to see you in Toulouse in November! Check the ITSNT website for more information. This entry was posted in News on August 19, 2018 by Jonathan Kelly. Welcome to new and returning students! We’re excited to kick off the fall semester with two news students! Adam Hall (co-advised with Prof. Angela Schoellig) will be working on interactive perception, and Justin Tomasi (co-advised with Prof. Sanja Fidler) will be conducting research with our self-driving vehicle platforms. Welcome! Dr. Kelly has been appointed Dean’s Catalyst Professor by the Faculty of Applied Science & Engineering, a title he will hold for three years. The Professorship is an early-career award to promote and accelerate the contributions of the Faculty’s most promising junior academic staff. Funding from the award will be used to further the Lab’s research in collaborative robotics. This entry was posted in News on August 15, 2018 by Jonathan Kelly. Prof. Kelly is speaking tomorrow (June 14) about manipulator self-calibration at the Midwest Robotics Workshop in Chicago. Hope to see you there! This entry was posted in News on June 13, 2018 by Jonathan Kelly. Thanks to everyone who attended the ICRA 2018 Workshop on Long-Term Autonomy and Deployment of Intelligent Robots in the Real World; Prof. Kelly gave a talk about developing collaborative robots for long-term service roles (“Designing for Long-Term Autonomy: Experiences with Collaborative Robots”). The panel discussion was great! This entry was posted in News on May 27, 2018 by Jonathan Kelly. Prof. Kelly has been elevated to the status of Senior Member of the Institute of Electrical and Electronics Engineers (IEEE) – an award given for “significant contributions to the profession.” He began working with the IEEE as an undergraduate volunteer, initially holding the position of Student Branch Secretary. This entry was posted in News on May 11, 2018 by Jonathan Kelly.